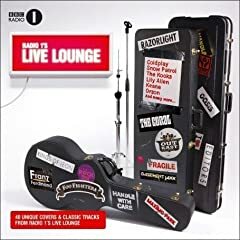 Radio 1’s Live Lounge is a collection of live tracks played on the Jo Whiley Radio 1 show. It consists of both covers and the bands’ own songs. Originally it was scheduled for release in May 2006 but later changed to be released on the 16 October 2006. The second album is the second in a series of Live Lounge albums. It consists of both covers and the bands’ own songs. The album will be released on October 22, 2007. The most I love in this series.